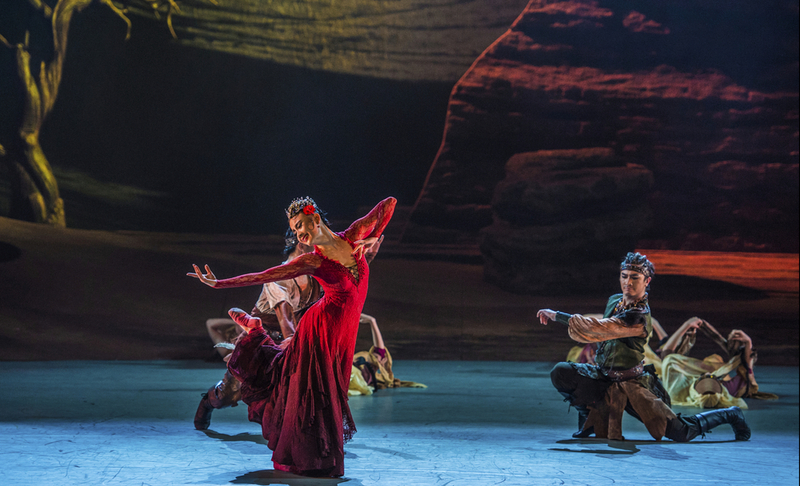 Adapted from the award-winning Chinese fiction The Borderland by Shen Congwen, The Ancient Desert Borderland is a co-production of Beijing Dance Academy and the Central Conservatory of Music of China. 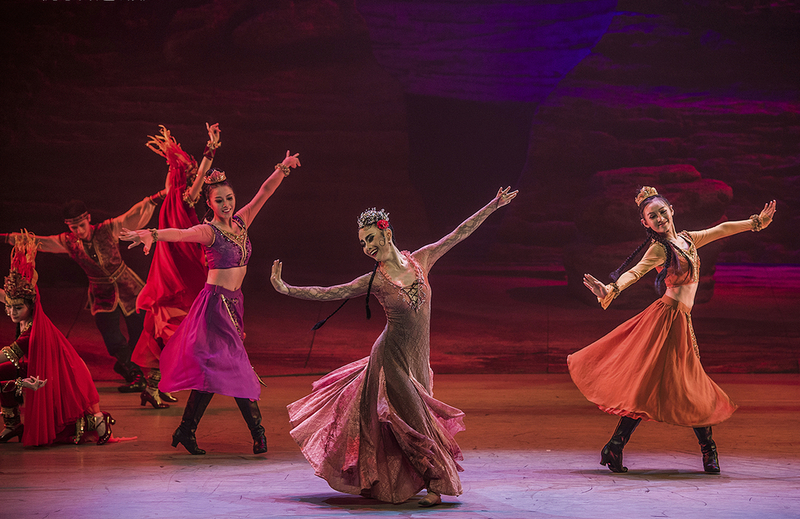 The unique musical and dance elements come from Northwestern China, home of diverse ethnic groups such as the Uyghur and the Kazak. 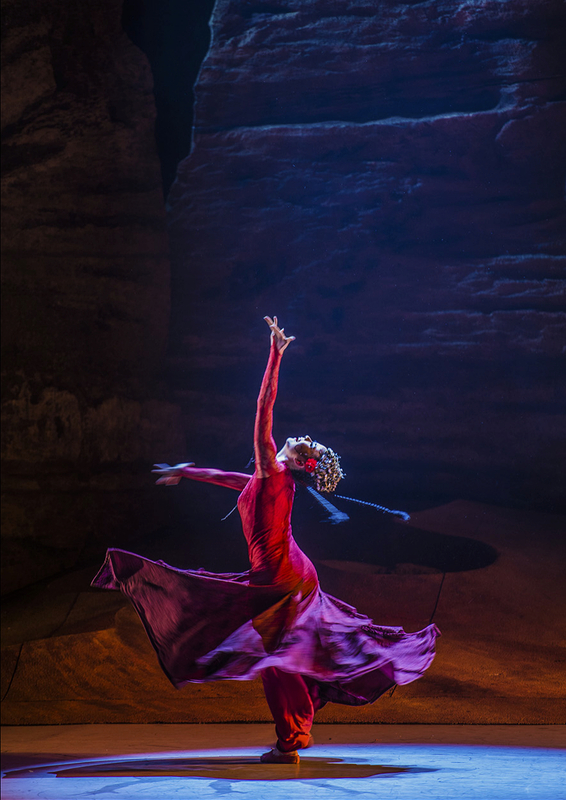 The Ancient Desert Borderland brings the audience on a magical journey through time and space, towards the mysterious land whereupon lies the Silk Road. A young girl, Niluper, (English meaning: Lotus) from the ancient Loulan Kingdom, is to marry a craftsman named Robzir under her grandfather’s order. However, Niluper is secretly in love with Robzir’s younger brother, Kazzel, who is a romantic folk artist. 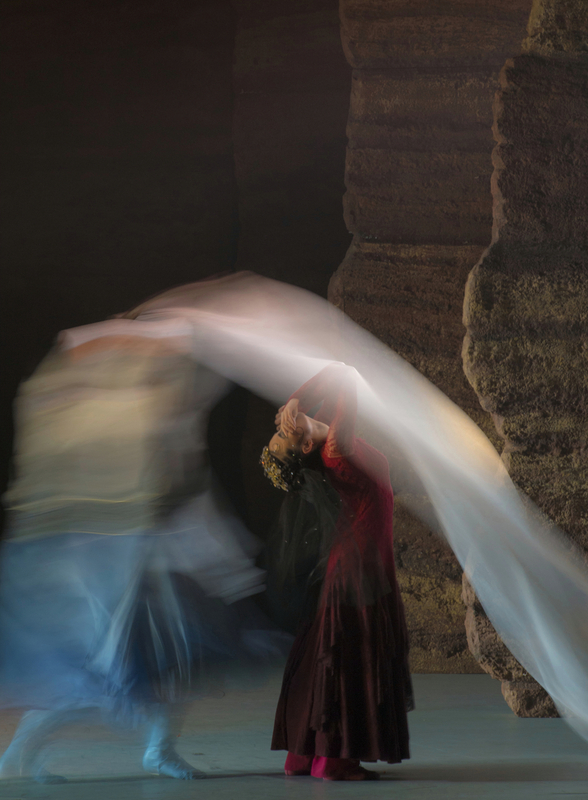 Discovering the love affair between Niluper and Kazzel, the elder brother leaves the Kingdom as the headman of a caravan and dies in a faraway land. Upon learning the death of Kazzel, Niluper’s grandfather also passes away in disappointment. The death of family and loved ones daunts over the innocent couple until Kazzel, too, decides to leave the country. Niluper is the only one left behind, looking across the ancient desert land, in search for her long lost love. The story is set in the Loulan Kingdom, a civilization that vanished in 77 BCE. 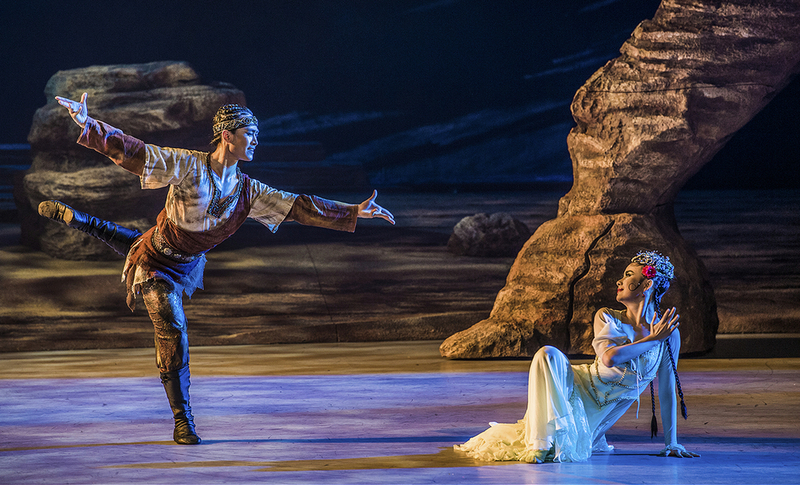 The stage design was completely based on the arts and culture of Northwestern China. The tragedy of cursed love and the myths of the Loulan Kingdom inspired this sorrowful story that whispers in the wind after thousands of years.